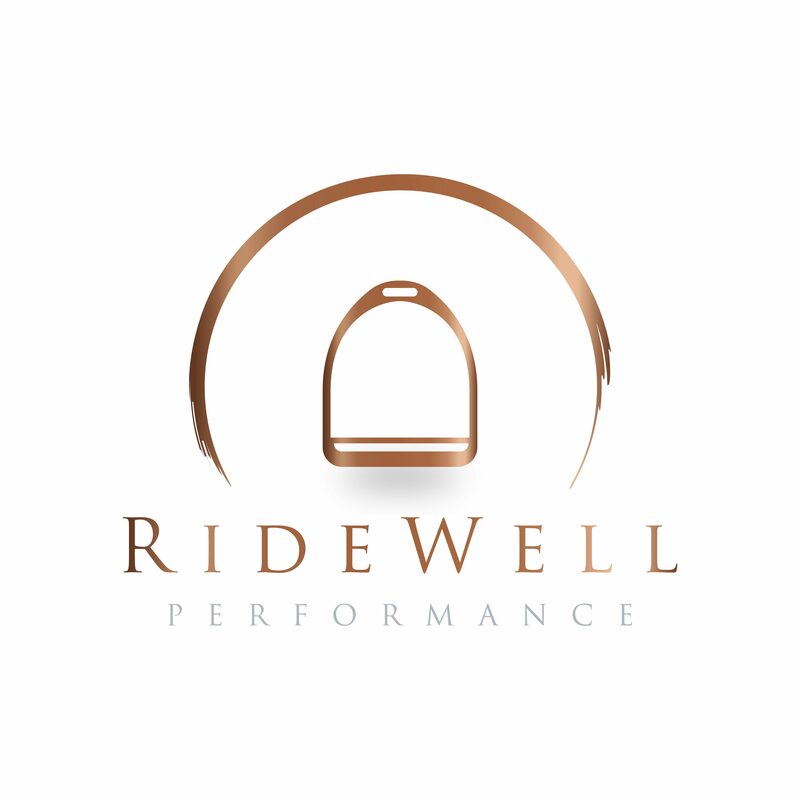 April 5, 2018 RideWell PerformanceLeave a Comment on Fit to Ride? Do you have what it takes to be a rider? Are you up to snuff athletics wise, or are you relying on your horse to do all the work? I’ve devised a “simple” test for you to try, to see if you meet what should be a standard for riders across the sport fitness wise. This fitness exam will test your mobility, cardiovascular, and strength capacity in a way that all riders should meet. Keep in mind while you may not pass this test, it doesn’t mean you shouldn’t work towards being able to pass it. Unless you’re trying out for the next Olympic team and are on a strict schedule, fitness and health are dynamic things. Try this test every month for a year and see how your results change- it will be great motivation for training outside of the tack! A 3/3 Hinge— using a broomstick align it with your spine. If you struggle to hold it there because of restriction in the shoulders, you lose a point. Now, with a relaxed knee position (don’t lock them out), hinge forward from the hips. Have a friend or a mirror close by to watch if your spine hinges instead of your hips. If the broomstick leaves your spine, you lose another point. If there is any pain, take away another point. You should ideally be able to hinge to about 90deg pain free, from the hips, with a straight spine. (*video/photo credit to The Movement Maestro— go follow her she is awesome). A 3/3 Squat— Use a friend or mirror and go through 5 or so squats. Your feet should be approximately hip width apart. Do not go below 90deg for the purposes of this test. As you squat, knees should not cross your toes, or collapse to the inside, back should remain straight (if you failed the hinge test, you automatically will fail this squat test), and weight should remain through the heels. If you have pain anywhere here, you drop to 0. If you have any of the above Movement compensation, you lose a point. Try this standing facing a wall. If your head or hands hit the wall- something is compensating! A 3/3 Wall Angel– Find a wall, get your entire back pressed flat against the wall, bring your arms up to a “W” position and flatten them completely against the wall. Can you achieve this position keeping everything touching (spine, forearms, shoulders, and head)? Does your mid back pop off the wall when you bring the arms up? Can you slide the arms up the wall keeping the spine straight? For pain in this position (outside of discomfort from muscles working), receive 0. For the mid back coming off the wall (if you an achieve a W position with the arms against the wall), receive 2/3, for limited shoulder mobility preventing you getting the arms to the wall plus the mid back coming off the wall, receive 1/3. A 3/3 Rotation— laying on your side with your knees bent up to 90deg and arms straight in front of you, open the top arm up to the opposite side. If you can get all the way to the opposite side ground with no pain or your hips moving you pass! This is guaranteed where many of us will struggle. 3/3 means that you are pain free, restriction free, and in good form. Take notes every time you run yourself through this mobility test, it is guaranteed to change over time. Note which side is more restricted in your rotation, where you feel tightness in your hinging, and where you compensate in your squat. – 16 Dead Bugs– Keep your back pressed against the floor, extend opposite arm and leg towards the ground without touching the ground. Complete as many rounds as you can in 15min, as long as form stays quality. This is an excellent thing to test routinely, every month or so, to measure your progress! Good form in a MUST.. if your form starts to slip, then that is where your round count ends. Want your form checked? Send a video to ridewellperformance@gmail.com, or slide into our DMs on instagram (@ridewellperformance) for a FREE form check. Next Are you doing it wrong? Enter your email address to follow this blog and receive notifications of new awesome content straight to your inbox!